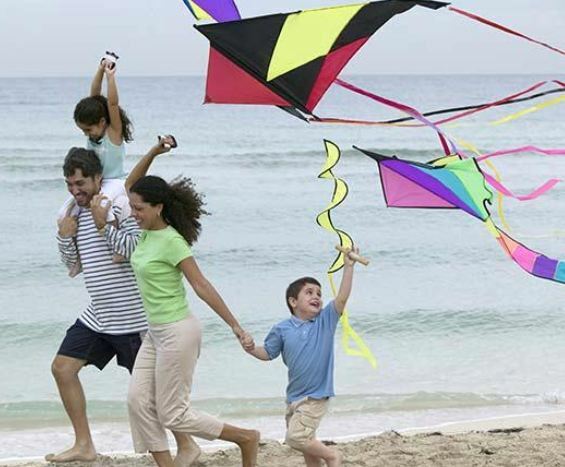 Oh, let’s go…fly a kite! Do you remember this song from Mary Poppins ? We should go “fly a kite” all the time! By this, I mean that we must let go of our anxieties, worries, anger, jealousy, craving and many other defilement that we have, and “soar up to the atmosphere where the air is clear”. The more we are able to let go, the higher we will rise to enlightenment. Granted, sometimes we get hurt and angered, but the faster we let go, the less we will suffer. We would do well also to remember that we must not cling to even the good feelings and so-called “correct” views. Do not hold on to opinions and concepts, or we get trapped in dualism. Besides craving for material things, sometimes we also crave to be right. “I am right.You are wrong.” is a form of craving that afflicts many people these days. It does not do us any good to adopt this superiority complex because it would only hinder our own growth and the opportunity to discover and learn new method. Hence, we should always keep letting go as we learn new things.